How can I use my bluetooth foot pedal? Since version 1.6.0 the KronosRemote offers support for external HID devices – these are external keyboards or other input devices including footswitches. Contact your footswitches manual to see what is supported and how you change the behaviour. So it’s up to you and your footswitch’s configuration how you want your footswitch to behave – configure your switch to send left / right keys if you always want to change presets no matter if you have a pdf file, or set it up as up / down keys if you want to turn the pages of your music sheets and change presets if there’s nothing turn. How do I mount my iPad on my Kronos? If you want to use your iPad with your Kronos you need way to securely hold the iPad and position it where you need it. My current live-setup includes the K&M 19722 iPad holder (for iPad 2) which attaches to a mic stand. This gives you quite a lot of freedom since you can tilt and turn the iPad and especially place it away from your Kronos – like above another keyboard from which you want to control your setup. There’s also there’s a product line to be mounted directly on the base of a mic stand without the clamp which gives you less freedom but is more compact. There are other solutions to place the iPad directly on the Kronos. Here you don’t require a separate mic stand but you’re less flexible in the positioning. The iPad is positioned above the knobs or sliders of the Kronos interface and can be placed anywhere on the Kronos. If you have the 61 keys version you will cover some elements but you can move the iPad anytime. Search for ‚SMS Special Music Stands‘ on Facebook, here you find contact details and product pictures. Their solution lets you also put a Korg nanoPad on the Kronos. How do I add .pdf and .mp3 files? Files are added in the ‚apps‘ tab of iTunes when you have your iPad connected (it should always be available if you’re synced with the iCloud). Scroll down the list of your apps to find the KronosRemote, then simply drag & drop your .pdf or .mp3 files to the files field. Press synchronize to transfer the changes to your iPad / wait for the cloud to sync, then your files should be available in the setlist slot editor. 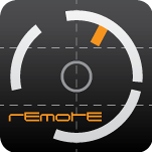 The Kronos Remote currently supports Setlist, Combi and Sequencer mode. We offer a mode called Controllers which includes realtime controls like the ribbon, pads, sliders and knobs… controllers which you might find on devices like the nanoKnob or nanoPad. There’s a program page as well, but this only lets you set the Kronos to program mode and select presets from the app. Setlist mode has everything you need for live usage including a fullscreen comment view and a bar with realtime controllers like pads, sliders, knobs and ribbon. Combi and Sequencer mode include the most common editing pages, intended to be used as a second supplementary screen during editing. This way you can edit your sequencer tracks or fine tune the FX section of your combination while you have for example your mixer or the EQ settings accessible on the iPad. Have a look at our Features page for more details. Synchronization refers to the app loading data from your Kronos to be able to show you values and names just like they show up in your Kronos. The app comes with the Kronos factory data preloaded so you can see some useful content instead of blank screens, however you probably have your own programmed presets or own setlists stored on your Kronos that you want to be displayed on the iPad. If you select a preset from within the app, it will sync automatically as soon as you hit ‚Commit‘ and thus ensure all settings match the ones on your Kronos screen. Each preset on the Korg Kronos features a huge number of parameters – these take some time to load and synchronize within the app, so for a better user experience presets that you change on your Kronos are not automatically synchronized. This is to account for fast preset changes on the Kronos (scrolling through your presets) which otherwise might slow down the app for quite a while. Instead a ’sync‘ button will appear just next to the preset name title bar – simply tap this button and the app will sync all preset parameters to your Kronos. Unfortunately we can’t load ALL data onto the iPad and always keep it up-to-date, it would just take too much time and keep you from working properly, so here’s how it works instead. Preset names (including setlist names): On connection the app will check if any banks need to be synchronized and will load all relevant preset / setlist names to your iPad. They are stored and will be still visible after you disconnected the iPad or even finished the app. This means once you had the app connected via USB cable and synched, your preset names and setlist names will be stored in the app until they’re updated on the next connection. Preset data: each sound preset consists of a huge amount of parameters like level settings, cutoff frequency, FX settings and so on… if the app would copy all these data on connection (like it does with the names mentioned above) it would take many minutes to copy everything each time you want to use the app – that’s not something you want to wait for. Instead if you select a preset on the Kronos the app will display the selected preset and give you a ’sync‘-button next to the preset name. So you can decide if and when you want the data for the currently selected preset copied to the app. If you press that button you see a progress bar and after a few seconds all your parameters will update to the actual Kronos settings. Btw this happens automatically if you use the app to select another preset. Setlist data: setlist data contains the information which presets are contained in a setlist, the colors of the slots, the comments and everything setlist-related. It’s basically the same as the preset data mentioned above – but since it’s only 128 setlists (compared to more than thousand presets) the app offers an option to copy and store all setlist data into your iPad. You find it on Global > Sync > ‚Load all setlists‘. Once you pressed this button and waited for the process to end, you have all setlists stored on your iPad – you can now disconnect the USB cable, connect to your Kronos via Bluetooth and have wireless access to all of your setlists on stage (remember: the Bluetooth connection doesn’t allow synchronization, so the iPad would still show the factory setlists instead of your actual setlists). How do I connect my iPad and the Kronos? You have two ways to connect your iPad to the Korg Kronos, both have their pros and cons. USB cable: connect both devices using a USB cable (and the iPad camera kit) will let the app synchronize all data it needs (see below what ’synchronization means in detail) and therefore is recommended to use at least once to sync both devices. Bluetooth: connect bot devices wireless via Bluetooth – while the iPad has built-in BT, the Kronos hasn’t and therefore requires a BT-dongle (LE MIDI). You can find dongles that plug into the USB connector and those which you plug into the regular MIDI ports. It’s up to you which dongle suits you best – the Kronos Remote app is not responsible for the Bluetooth connection between iPad and dongle, so any Bluetooth LE MIDI dongle that works with the iPad will also work with the app! While working wireless is great, the Bluetooth connection currently doesn’t allow you to sync data like preset names or preset parameters. You can use the app to change presets and also change parameters, but the app will only be able to show you the factory preset names instead of the actual names in the Kronos and all parameters will initially be set to default values, not the actual values you have in the Kronos – unless you had the iPad connected and synced via USB beforehand. The recommended way is therefore to use the USB connection initially and every time you changed the content of your Kronos – this will allow the app to sync everything it needs. On stage you’d be more flexible with a Bluetooth connection and the preloaded data on your iPad will be sufficient for the show. You need an Apple iPad with iOS 9.3 or higher – all iPads work, the newer the iPad the faster the synchronization will be. Obviously you also need a Korg Kronos keyboard, it’s been tested mostly on OS 3.0.4 and is also compatible with the brand new OS 3.1.0. To connect both devices you need either the Apple camera kit + USB cable or a Bluetooth dongle for your Kronos. We recommend to at least use the camera kit, since only the USB connection allows synchronization while the Bluetooth connection is a great add-on for wireless control on stage. Why / how should I use this app? Well… that depends on how you use your Kronos keyboard. If the Kronos is your only keyboard on stage, if you’re not too much into programming (at least in Combi mode), if you’re satisfied with the Kronos touchscreen and if you’re not the gadget-guy anyways… you actually don’t need it. It’s great on stage, especially if you don’t have direct access to your Kronos screen – like you’re playing at a second keyboard or you have another board stacked above the Kronos or if it’s simply not readable in bright sunlight. Also you may want to use a bigger ribbon controller, a touch XY-pad or simply the 8 sample-pads that are hidden in the Kronos menus. You can buy the Korg nanoPad and the nanoControl or just have both on your iPad. Also the response of the Kronos screen is not the best compared to an iPad, so on stage it’s bigger – brighter – better. If you do a lot programming in your combis, you may be annoyed by constantly switching between your editing screens. With Kronos Remote my facourite way of use is to have the mixer page on the iPad to mute / unmute parts while you’re tweaking the EQ, the FX or anything else on your Kronos screen – the Kronos is a beast to program, can’t hurt to do it on two screens. I mentioned the realtime controls – the Korg Oasys had 8 big pads below its screen, they’re still available on the Kronos but hidden in the menus and (for my taste) not convenient enough to actually make use of live. Kronos Remote offers a dedicated realtime control mode that for example gives you these 8 pads fullscreen to trigger sounds, chords or whatever you want to do.